For my next Aqua Teen Hunger Force piece, this is Bingo the Robotic Floating Clown Head. I only wish I could give his rainbow clown hair better volume. 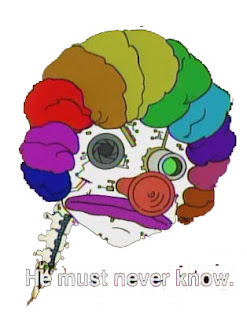 Bingo from the ATHF episode "The Clowning."